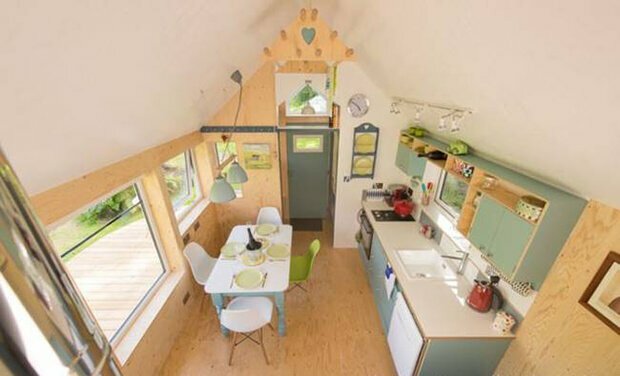 The NestHouse by Tiny House Scotland is a small prefabricated home designed by Jonathan Avery. The small house aims to be a minimalist, sustainable, affordable, and eco-friendly housing option for people that find certain pressures of modern residences to be impractical and tiring. Portable and modular, the NestHouse measures only 3.4m wide with an internal floor area of about 10-60 sq m, and is available in different lengths and module combinations. It’s design is flexible enough to be powered on or off-grid, giving you more options for energy-sourcing depending on your needs. Jonathan Avery’s design applies the Danish concept of “hygge” or relaxed well-being to the NestHouse. 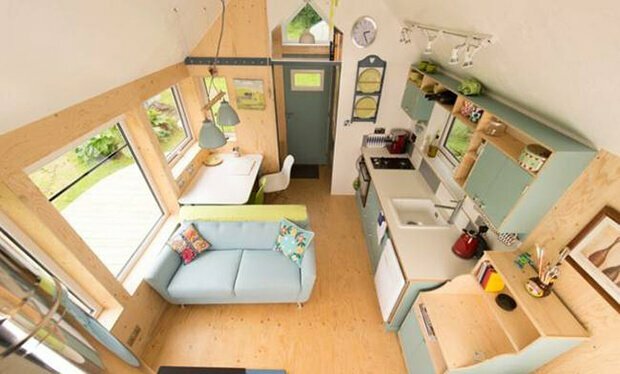 The Scandinavian influences are very apparent in the shape and color of the mobile tiny home, simple but substantial and very practical. 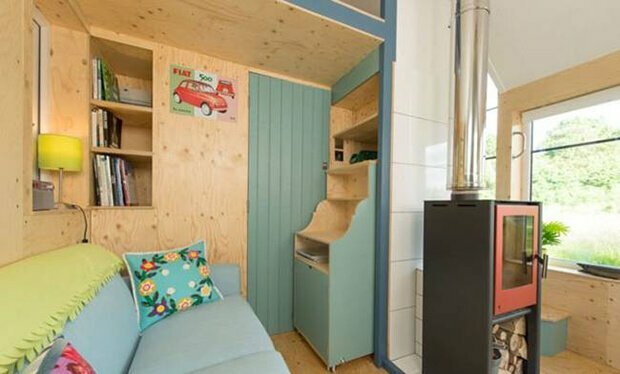 It is a modern design, with a touch of retro from the robin egg blue colors and vintage appliances. The interior layout is designed very carefully to maximize livable and usable areas. The kitchen and seating is built on to one side of the room, freeing up space for a dining table on the center. 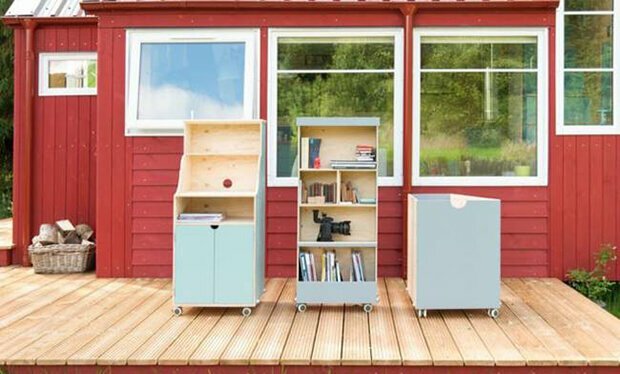 Shelves with compartments built-in for small appliances free up more living area, and provide you with ample storage space. The woodstove is set in the middle of the seating area, with the stairs wrapping around it. The stairs also has a storage space with pull-out furniture underneath. 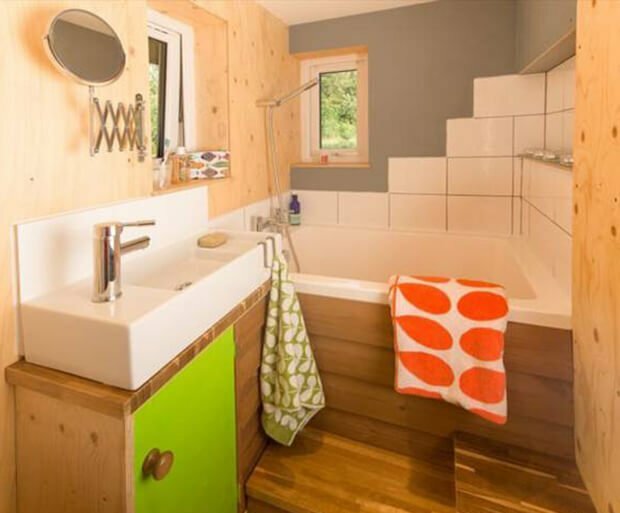 There is one bathroom, complete with a sink and tiny soaking tub tucked under the loft. 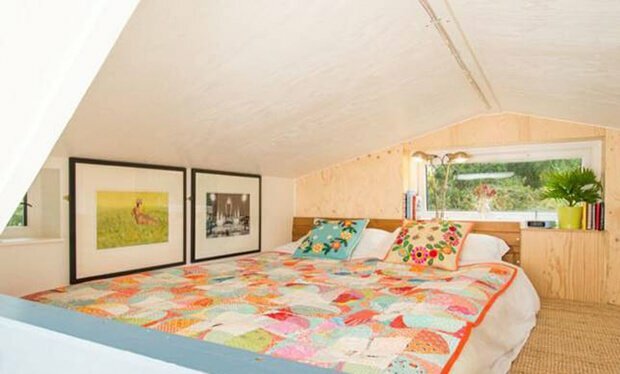 Upstairs you’ll find the bedroom. Though small, it has more than enough legroom to be cozy and comfortable. 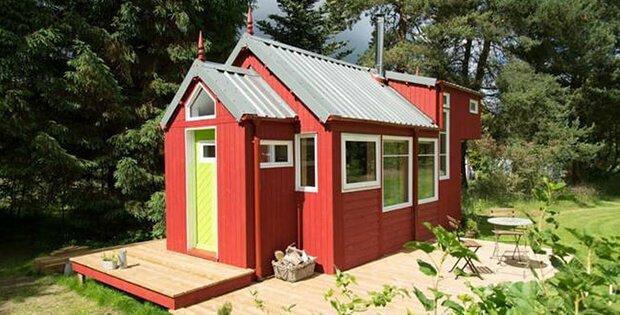 If you’d ever want to own one of these beautiful tiny homes, it is priced at $21,540 for a basic shell to $48,150 for a larger home with various modules and options. 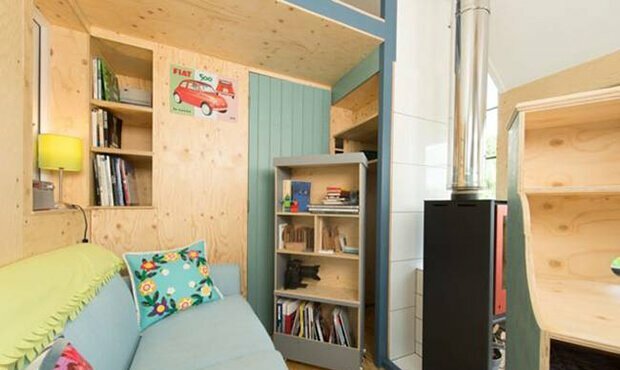 For more information, visit Tiny House Scotland. Take a look through these photos and tell us what you think on our Facebook Page!